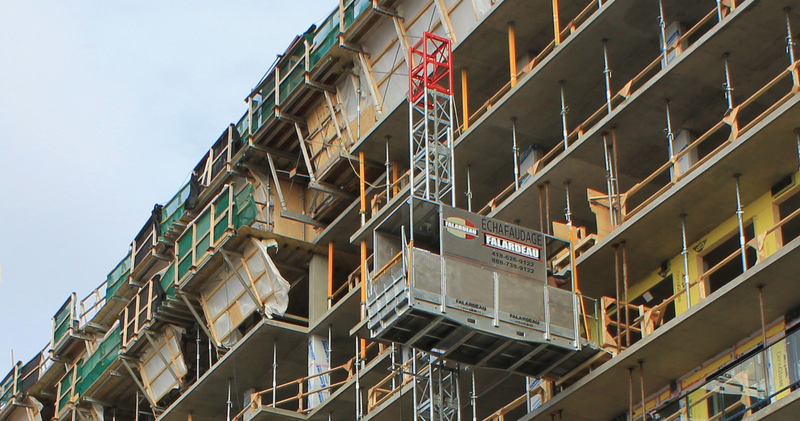 We are committed to putting our expertise and state-of-the-art equipment behind all of your construction projects. View the locations of our distributors to find the one closest to you. Visit one of Fraco's branches to meet your construction needs. Fraco's rack and pinion transport platform offers the highest load capacity of single-mast transport platforms. SEP Series does not require a concrete base and can be used both inside and outside a building. It distinguishes itself by the use of a flexible wall fastener and a system of adjustable tensioners. All SEP Series transport platforms are designed for efficient movement of personnel and materials. They offer safety features both inside the cabin and at the landings to be serviced, thanks to an easy-to-use loading ramp. Their dimensions and capabilities can be customized to suit the needs of general and specialized contractors. They are manufactured with electrical and mechanical components that are available from local suppliers. We use ingenuity to create customized solutions. 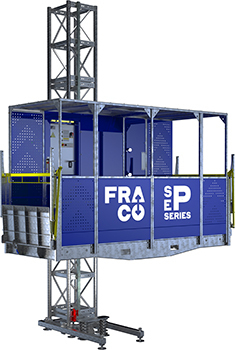 Fraco has been mandated by Structural, the industry leader of repair solutions, to develop an access solution for a large oil drilling facility located over the polar circle. 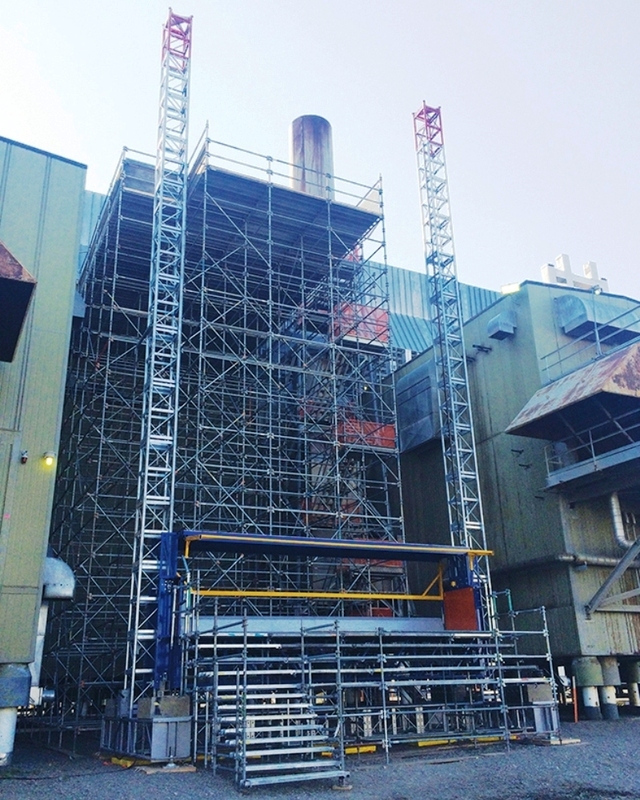 Fraco designed and supplied two SEP Series twin mast transport platforms.